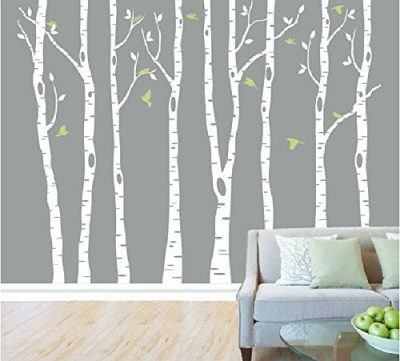 Wall decor stickers and decals are slowly becoming a great substitute for modern wallpaper. Old school wallpaper is incredibly expensive, difficult to apply, and costly to get exactly right. 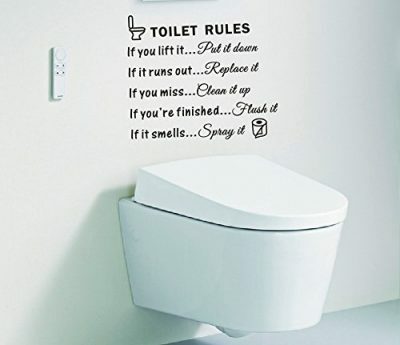 It often needs a professional to apply it correctly, due to its size and unwieldy nature. 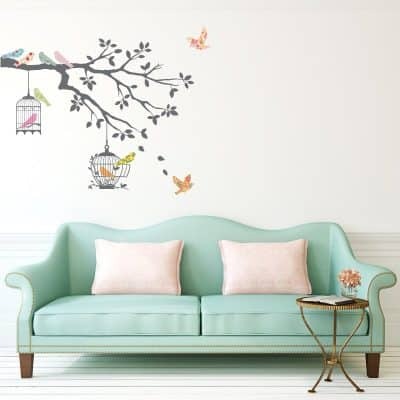 Wall decor stickers and decals, on the other hand, have the ability to enhance the appeal of any room in a house in far less time, spending much less money, and expending considerably less effort than applying traditional wallpaper. At the same time, they’re actually a lot of fun! 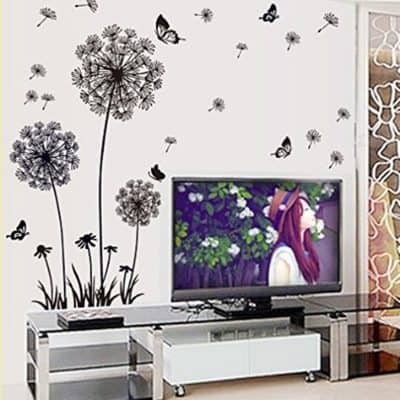 Whatever the purpose may be for your wall decor stickers or decals, it is a relatively easier process overall compared to putting up wallpaper. 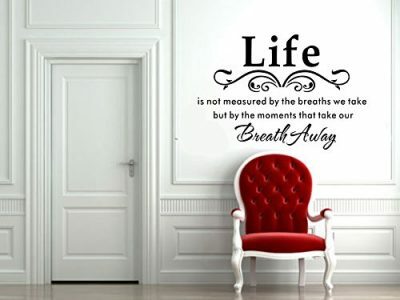 This is especially true when you need to put something on every wall in a particular room. 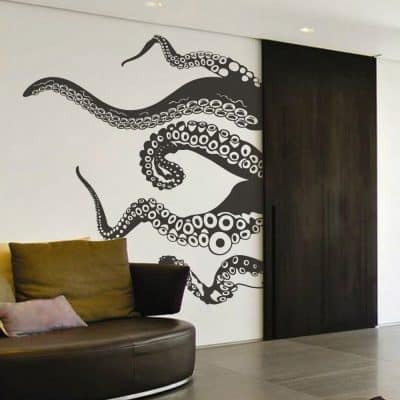 Wall decor stickers just require a little bit of preparation to achieve some incredibly stunning results. 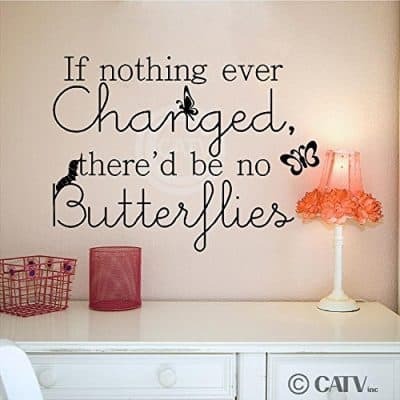 Room transformations can happen easily and quickly nowadays with wall decals. 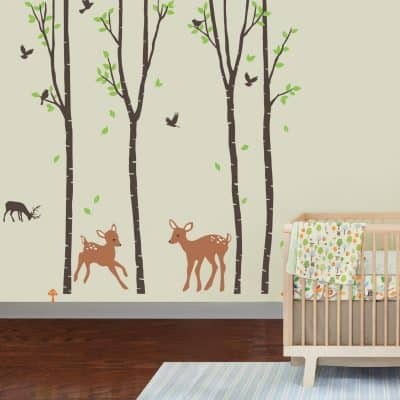 What’s more, wall decor stickers are perfect for bedrooms, living room, nurseries, basements, and much more! 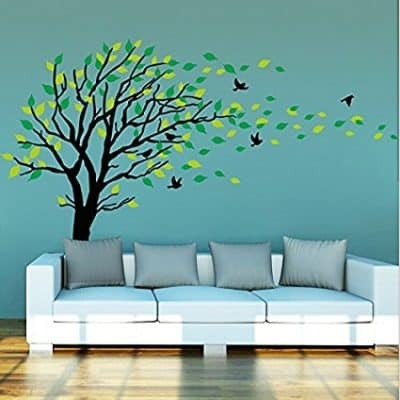 Virtually any room in the house can greatly benefit from high-quality wall decor stickers or decals. 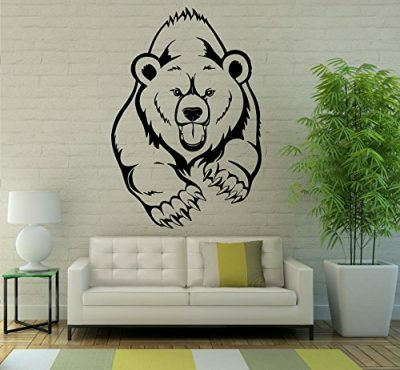 What you need to do before you create your wall decal masterpiece is to prepare your wall for the sticker application process. 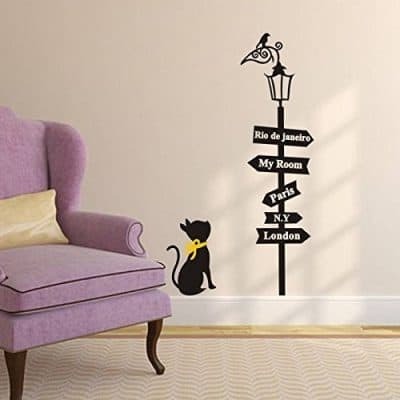 This initial step is vital to a great overall experience with your wall decor stickers. 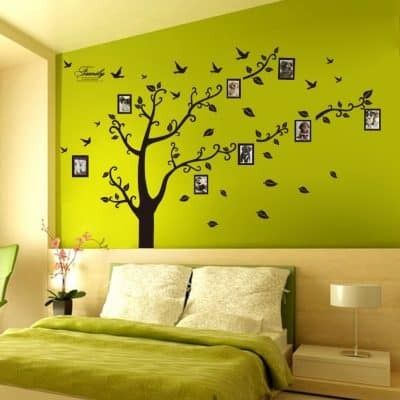 This will also have the effect of making sure that they look great on your wall (or walls) at the same time. 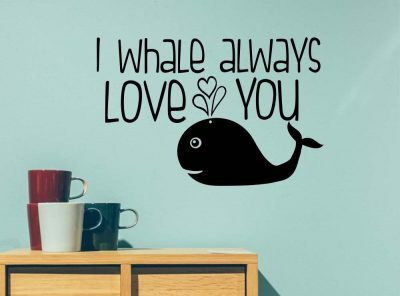 Your new wall sticker or decal will become a novel part of the theme of your room, whatever that might be, so beforehand you will really need to make sure that everything – images, words, phrases, background, animals, etc. 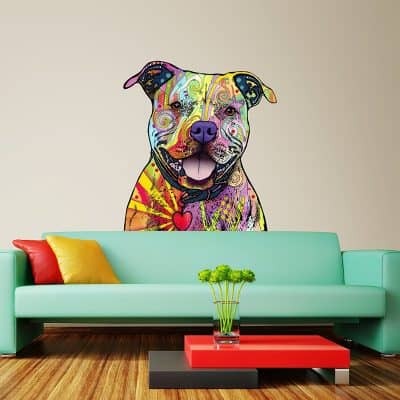 – goes well with the stickers that you ultimately choose to install on the wall or your room (or rooms). 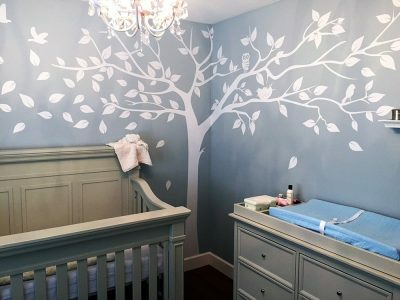 It is practical and easy both to clean and paint the wall before you actually apply any number of wall decor stickers or decals that you decide to use. 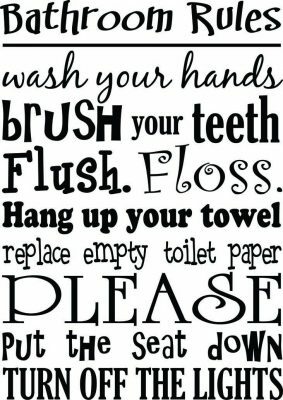 First and foremost, the wall of your room should be washed thoroughly and completely before anything else takes place. Make sure that there are absolutely so signs of dust or dirt or anything else present on the wall in question. If there is dirt or dust, you could possibly end up with a rippled surface for some or all of your stickers. Obviously, this is probably not anyone’s ideal situation for their new bedroom or nursery or office design. 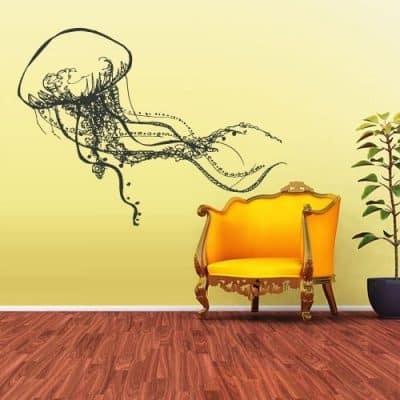 With this in mind, clean your walls first – before anything else – in order to create the smoothest possible surface for the wall decor sticker or decal that you decide to use. After the cleaning and washing have been fully completed, you should then let the wall surface dry as thoroughly as possible. 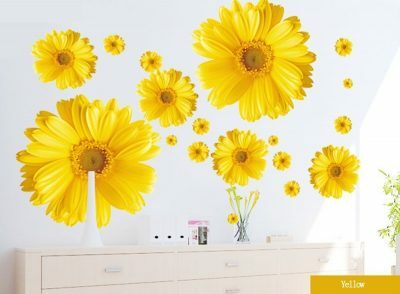 Once it is completely dry, you can begin the process of actually applying your wall decor stickers to the wall surface. You can even use a fan if you need to. This can certainly speed up the whole drying process. The point is to make sure the wall is absolutely not wet or moist in any way. 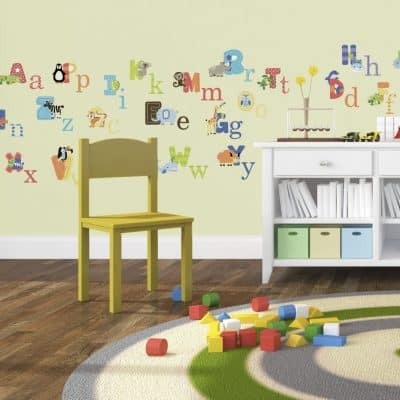 Some wall decor stickers are actually much, much harder to remove or replace than the rest once you have actually applied them to the wall’s surface. 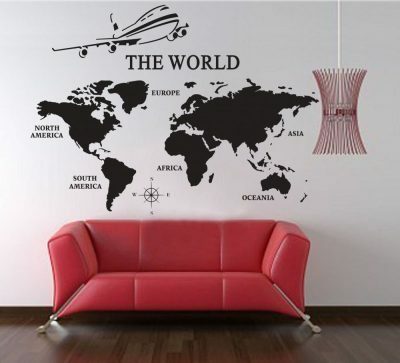 For this reason, it would be a major advantage for you to go ahead beforehand and lay out your entire desired design on the floor or table so you that will know the exact placement of your stickers before ultimately sticking them on to the walls of your chosen room. Pro Tip: For a better visualization, you can try using a little painter’s tape in order to temporarily apply your stickers to the chosen wall with their backing still completely intact. 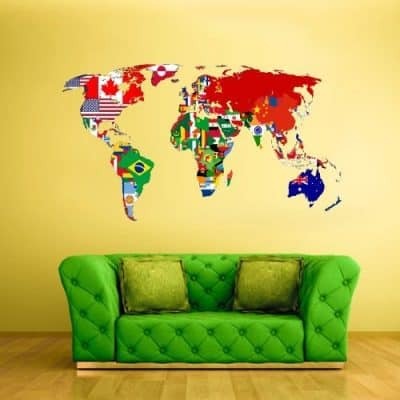 This way you will have much more freedom in which to play with the sticker or decal placement on the wall. Spend as much time arranging them as you like, until you are sure that you’re completely happy with the look and the design. Now, you can mark your final placements on the wall. 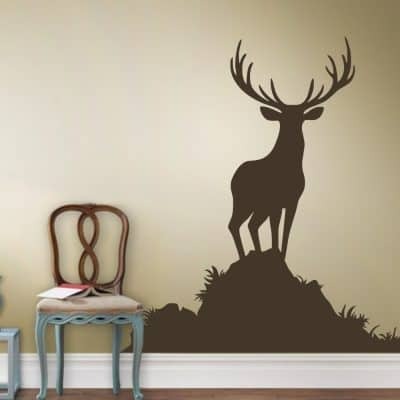 You can do this by lightly tracing temporary outlines with a pencil all along the edge of each one of the wall decor sticker or decal backings. If you do this before you actually apply the stickers to the wall, you will be able to adhere the stickers to the chosen wall with more precision than you might otherwise be able to achieve. 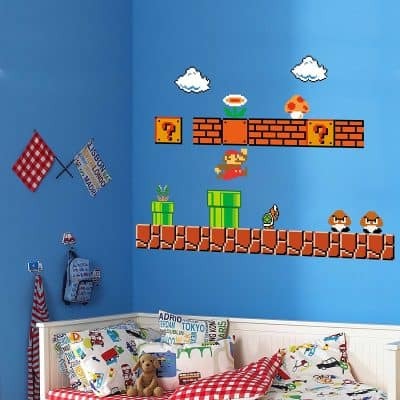 Overall, this makes the appearance of the wall decor stickers a whole lot better and more polished in the long run than if you had just chosen to try to stick them to the wall without a guide of any kind. Okay, your wall is now all washed, beautifully cleaned, and completely prepped. It is totally and fully dry – this means absolutely no moisture at all (remember to use a fan if you need to – the extra time is worth it). By now, you also should have marked the placement of your stickers exactly where you want them to go on the wall of your room. Now, finally, you are ready to stick your stickers! 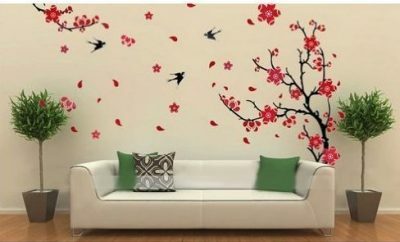 Remove the backing from each one of your wall decor stickers or decals and apply them carefully to the chosen wall in your room. Do this only one piece at a time, because trying to apply multiple at once will be far too difficult. 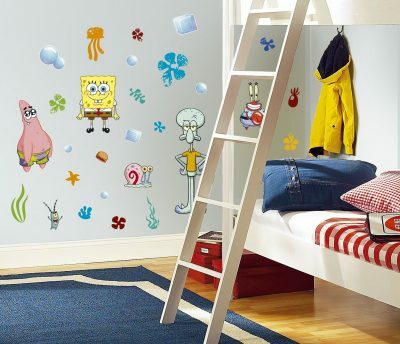 In fact, you really need to be quite careful when you are applying the wall decor stickers to the wall’s surface, so that they don’t end up forming any lumps or bubbles. 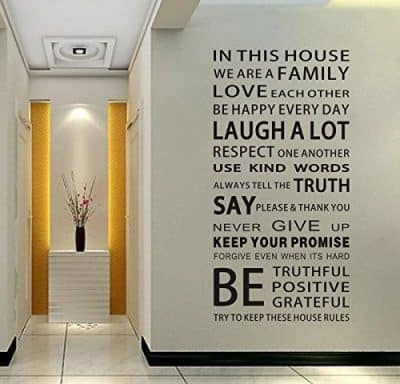 The last thing you want to happen is to do all of this hard work, only to discover that your brand new wall decor stickers have ripples and ridges all over them. 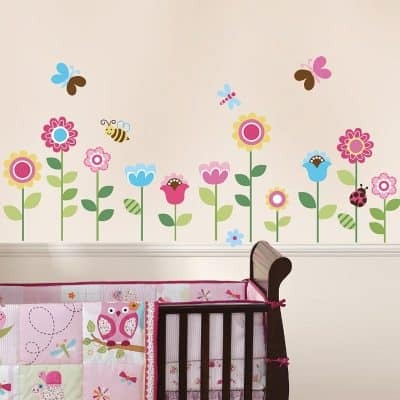 This will obviously not be a very attractive look for any room, whether it’s a bedroom, or an office, or a nursery. So, make sure you proceed with caution and care. Start on one end with the edge of the sticker. Once you have it solidly in your grip, you can then slowly smooth out the piece with your hands and fingers all over the wall. 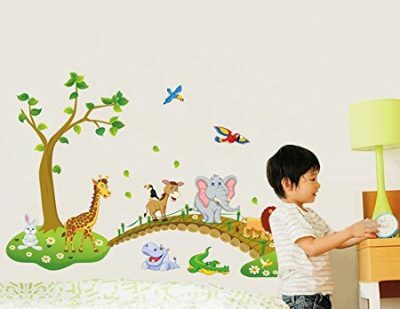 Flatten and secure the wall decor stickers across the wall’s surface by rubbing each piece slowly with a squeegee. 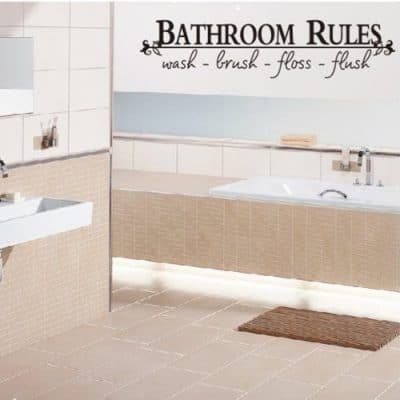 As an alternative, you can also use any kind of flat, smooth object you might have on hand at the house. Something like a credit card should work just fine, so don’t worry if you don’t have a squeegee at home. There’s no need to run out and buy one. Once you have completely finished slowly smoothing, flattening, and securing the wall decor stickers, you are finished. 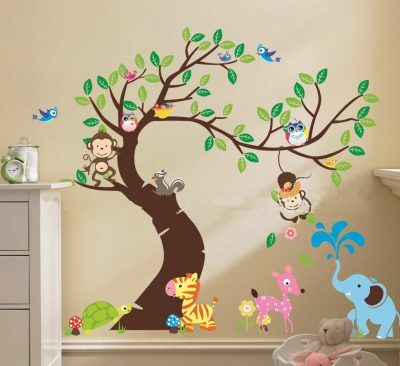 The top covering of the stickers can – and should – be removed once you are happy with the result and the way it looks on your wall. 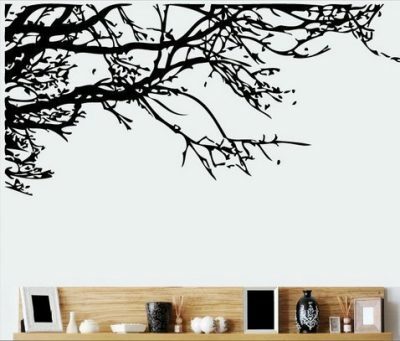 Take a moment to look at it complete on the wall’s surface, in relationship to the rest of the bedroom or office or nursery. You now have a completely new look, without breaking the bank or doing some kind of expensive renovation project on your house. 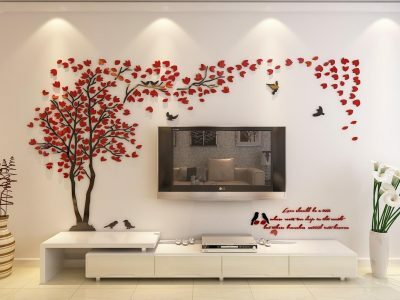 Usually, wall decor sticker application can be a job for just one person by himself or herself. That being said, for the much larger pieces, you should probably consider just asking a friend for a helping hand. 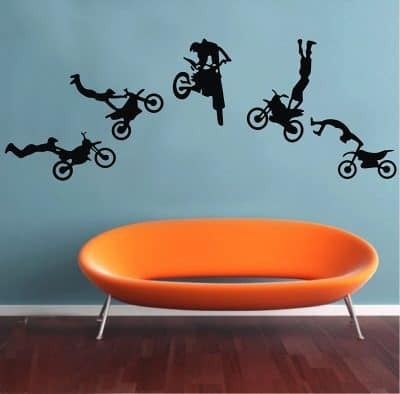 This will keep the wall decor sticker from sticking to itself once you peel away the backing. 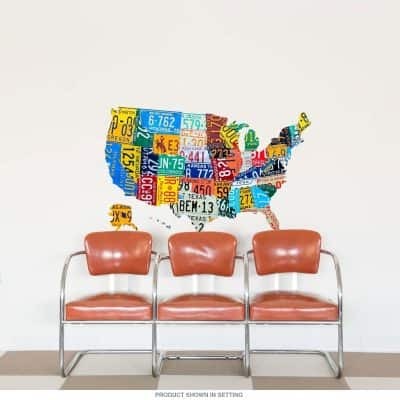 This can prove to be a very tricky task for one person to do with the bigger wall decor stickers that are currently available. 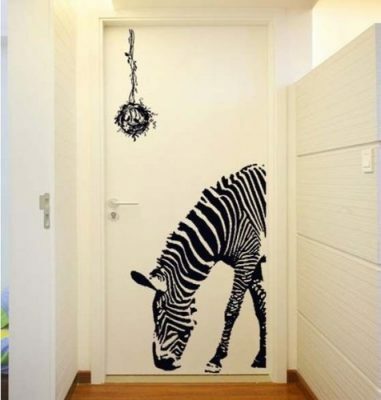 For more Wall Decor Sticker ideas, be sure to check out my ideabook on Houzz. I have found a lot of truly great ideas on there that you can check out and use as much as you want. Also, take a look at this really neat sticker site based in France: http://poissonbulle.com/ . They have a ton of great designs there. 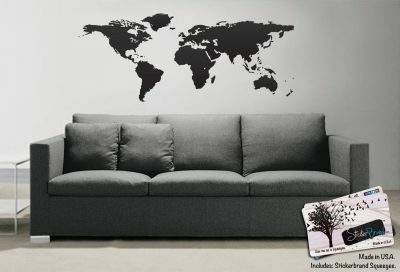 I’m not sure if they ship to the US, so be sure to check with their shipping policy before trying to place any French wall decor sticker orders. Love reading this content. Read it twice already but I want to read it again and again. Thanks a lot for posting.